The sixth Annual Theory and Simulation of Disruptions Workshop at the U.S. Department of Energy's (DOE) Princeton Plasma Physics Laboratory (PPPL) made substantial progress toward planning a system for mitigating disruptions on ITER, the international experiment under construction in France to demonstrate the feasibility of fusion power. Disruptions, the sudden loss of heat in plasma that halts fusion reactions, can seriously damage ITER and other doughnut-shaped fusion facilities called tokamaks, and are among the major challenges facing the international experiment. Design of a disruption mitigation system for ITER is a primary responsibility of U.S. fusion scientists, said Amitava Bhattacharjee, head of the Theory Department at PPPL and organizer of the June 16-19 workshop attended by some 35 U.S. and international physicists. Fusion, the process that powers the sun and stars, is the fusing of light elements in the form of plasma — the hot, charged state of matter composed of free electrons and atomic nuclei — that generates massive amounts of energy. Scientists are seeking to replicate fusion on Earth for a virtually inexhaustible supply of energy to generate electricity. 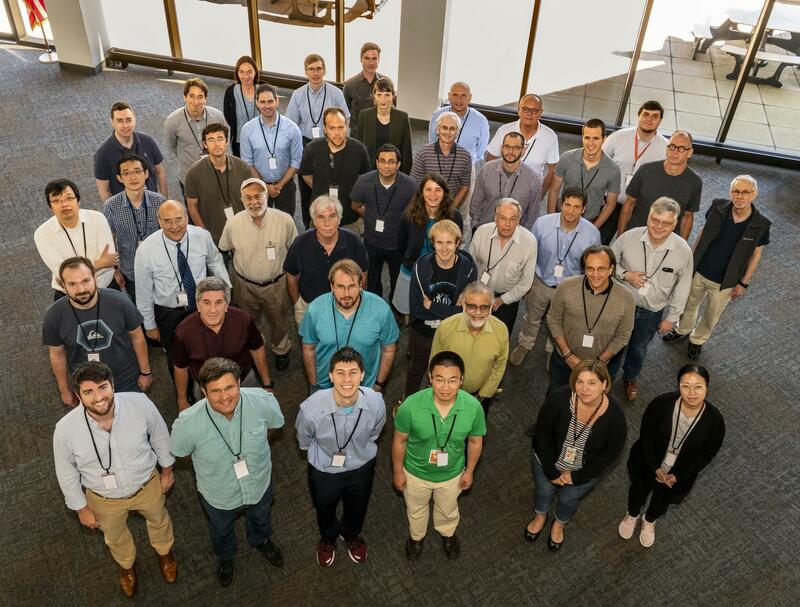 Topics discussed during the three-day event covered theoretical and experimental research on issues ranging from runaway electrons — searing laser-like beams of high voltage and current that can damage tokamaks — to machine-learning software for predicting disruptions in time to tame them. "Controlling disruptions, particularly runaway electrons, is among the most important challenges confronting ITER," Bhattacharjee said. "Working closely with our colleagues at ITER, we must develop a plan over the next few years for a reliable disruption mitigation system for this facility." A key method outlined during the workshop is injection of shattered pellets, composed of elements such as boron or beryllium, to control ITER disruptions. The technique has chiefly been tested on the DIII-D national fusion facility that General Atomics operates for the DOE in San Diego, and important results from this facility were presented by DIII-D scientists. United Kingdom's Joint European Torus (JET), the largest and most powerful tokamak in operation today, will begin shattered pellet testing in December. Workshop presenters included Daniele Carnevale of the University of Rome Tor Vergata, who discussed control of runaway electron beams on the Frascati Tokamak Upgrade (FTU) in Frascati, Italy, and the TCV tokamak in Lausanne, Switzerland, two medium-sized fusion facilities. Carnevale said the experiments demonstrated improved control of runaway electrons through use of a fast-control feedback system that held the plasma in place, but full control of runaways has yet to be achieved. Feedback control will next be tested on JET, he said. Among theory speakers was physicist Dylan Brennan of PPPL and Princeton University, who serves as principal investigator of the Simulation Center for Runaway Electron Avoidance and Mitigation (SCREAM). The two-year-old center combines simulations and data from worldwide experiments to explore the causes and solutions for runaway electrons. Brennan said the group has developed a rigorous way to couple large codes that simulate runaway electron generation with codes that simulate disruptions. Such coupling requires coordination of experts in these codes, he said. Simulation tools are rapidly advancing, according to Bhattacharjee. Such tools are being developed to simulate and predict the behavior of plasmas in ITER. "Predictive capability is what we must have for ITER," he pointed out. "ITER cannot be used for learning about disruptions — it must avoid or mitigate disruptions and operate successfully."